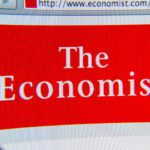 How the elites are divorcing from reality: The Economist “what if”. The Western globalist elites have not digested Trump’s victory or Brexit yet. They are having a hard time dealing with their ideological failures, and when the reality dares not to comply with their day dreaming, they go online and create a parallel world, where their “expert” predictions always turn right and their failures cannot be questioned. The Economist‘s portal named “what if”, a neo-liberal, wishful thinking echo chamber, is the point in case. The hypothetical scenario of Macron’s success is based on magical reforms that will somehow create enormous numbers of jobs after an initial friction and fix the out-of-control state budget. The text provides no answer how exactly all this is going to be done. The happy predictions do not stop there. Macron’s miracle, would turn France into another Silicon Valley, a paradise for start-ups. Does it not make us think back to the internet bubble of the 90s? After “making France great again” and defeating Marion Maréchal-Le Pen, Marine’s niece (who for the record has already retired from politics, but don’t tell The Economist, it’d break their narrative, they need an evil antagonist), Macron’s magic would next make Europe great again. Academic papers on the “French Renaissance” are beginning to appear, says the article’s author, an intellectual liberal himself and Macron’s flunky. He speaks of “EU-funded military operations in the Sahel”, because clearly that’s what Europe needs most. 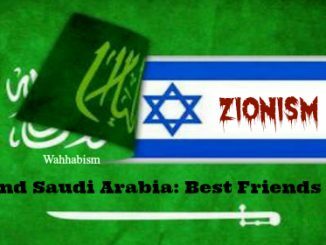 Why, destabilizing surrounding countries has worked very well so far, hasn’t it? Islamic terrorism isn’t even touched in the article, so we gather it will magically disappear as will the problems of the banlieux which do not deserve much mention either. Here, too, no solution is offered, just pure magic. increase in labour supply sends wages crashing down to zero. It also claims that “a Nigerian in the United States cannot be enslaved by the Islamists of Boko Haram” because, clearly, mass migration to the West so far has not resulted in events related to Islamic terrorism nor separated communities. All our concerns about low wages and terrorism are are dismissed as “little besides conjecture and [have] anecdotal evidence to support it”. Reality is anecdotal evidence. The entire article is a massive exercise in intellectual dishonesty, ignoring or downplaying contrary evidence while highlighting potential and rather illusory benefits. Although it covers briefly the possibility that an ethnic group of a radically different culture could numerically overwhelm that of the host country and abolish democracy, no conclusion is drawn. And yet a “what if” scenario is important because a failure in creating a brave new world might result in an ethnic conflict the likes of which we are seeing in Syria now. But that’s not a politically correct answer and thus must be ignored. What matters is the alleged $78 trillion, which for the record would never happen if ethnic conflicts and societal collapses erupted. The first line of the article says: “the potential gains are so vast that objectors could be bribed to let it happen” and that answers the pertinent question, who would get those $78 trillion? The elites, and next they will bribe academics and intellectuals to post articles like that one. Indeed The Economist is owned by the world’s most elitist family, the Rothschilds. 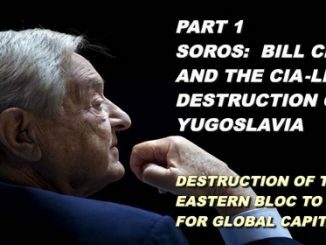 Very much like their puppet, Macron, who by the way worked for a Rothschild bank. Is this love a coincidence? The prediction of Trump’s victory is the only accurate thing in the article. The conclusions drawn are all false.5)The subtitle hints that Trump’s inexperience would cause “real-world crises”. Once again, clearly, Hillary Clinton’s “we came, we saw, he died” about Libya did not cause a civil war, a collapsed society and an immigration crisis in the Central Mediterranean, very much like Obama and Hollande’s “Assad must go” approach towards Syria did. To say something like this would be dismissed as “anecdotal evidence”. There’s a claim that his first international visit would be to Russia; it turned out it was to Poland. Hillary was supposedly toppled by “Russian hackers”, which only confirms that the fantasy was always present in the minds of her supporters. Too bad. The narrative has now shifted to “Russian collusion”. Russia would also be “shooting Estonian helicopters” because Russians are evil. The Russophobic narrative is The Economist‘s recurring leitmotif. The other claims include Mexico, which would be now a “humanitarian” superpower because it won’t deport “unaccompanied minors”, also known as illegal immigrants to Central American countries, thus teaching Trump a lesson in morality. Oh no, wait, Mexico is actually considering building a wall along the border with Guatemala.6) What else did they predict? In short, none of The Economist‘s predictions have come true. It must be Russia’s fault or anecdotal evidence. Liberal intellectuals are too busy living in a parallel world to notice their miscalculations. Are they then worth listening to? 1. 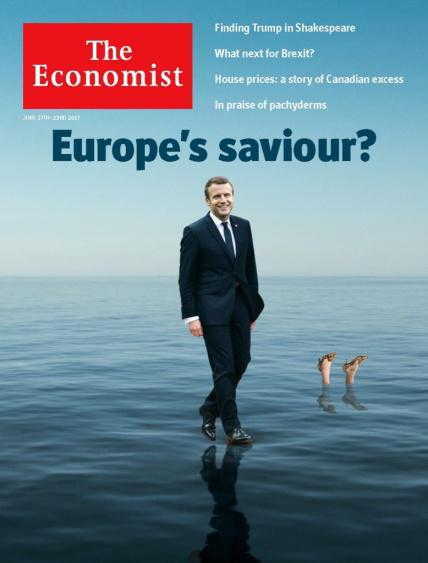 ↑ The Macron Miracle, The Economist 2017-07-06. 2. ↑ The 78$ trillion free lunch, The Economist 2017-07-06. 3. 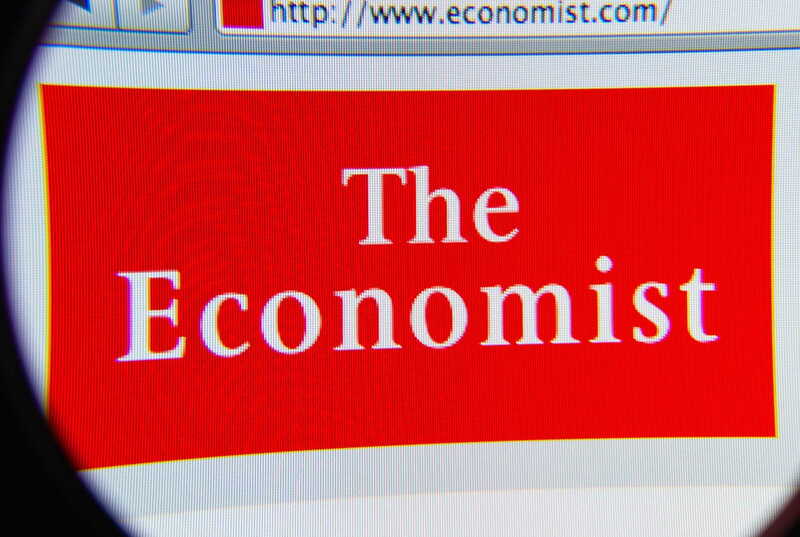 ↑ The Peril Beyond Putin, The Economist 2015-07-01. 4. ↑ The first 100 days, The Economist 2017-06-22. 5. ↑ The world v Donald, The Economist 2016-05-31. 6. ↑ Mexico builds its own wall against migrants, Financial Times 2016-09-14. 7. ↑ ICE ERO immigration arrests climb nearly 40%, ICE. Did You Really Drop Bombs on a Chemical Weapons Facility Mrs May?